After a sluggish opening 20 minutes from the current title holders, Benzema slotted home his first - his 200th goal for Real Madrid - before Casemiro had a free header three minutes later. The Frenchman nabbed his second in the 37th minute as he also nodded home with Gareth Bale - who set up the previous goal - firing home to make it 4-0 before half-time. Toni Kroos (67) rounded off the scoring with a wonderful curling effort to put Real Madrid at the top of Group G on goal difference after Roma's 2-1 win against CSKA Moscow earlier in the evening. Viktoria Plzen exit the competition after the defeat, currently bottom of the group with one point. Viktoria Plzen: Hruska (6), Limbersky (6), Hubnik (5), Hejda (5), Reznik (5), Prochazka (5), Hrosovsky (6), Kopic (6), Cermak (6), Havel (5), Chory (6). Subs used: Petrzela (5), Horava (5), Reznicek (4). 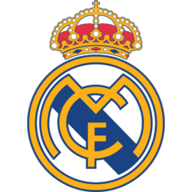 Real Madrid: Courtois (7), Ramos (7), Nacho (7), Odriozola (8), Reguilon, Kroos (9), Casemiro (7), Vazquez (7), Ceballos (7), Benzema (8), Bale (7). Subs used: Sanchez (6), Vinicius Jr (7), Isco (6). Man of the match: Toni Kroos. Viktoria Plzen started well but could not capitalise on their pressure as Real Madrid opened the scoring in the 20th minute. It was a wonderful run into the box from Benzema - getting past Roman Prochazka and Radim Reznik - before slotting home through the legs of Ales Hruska. It was quick second from the visitors, who added another three minutes later. Some poor defending from Plzen saw Kroos' corner nodded home by Casemiro, who got away from his marker for a free header. Real Madrid caretaker manager Santiago Solari made two changes from the weekend. Luka Modric and Marco Asensio were dropped to the bench with Lucas Vazquez and Daniel Ceballos coming in. Benzema scored his second in the 37th minute with more sloppy aerial defending from Plzen. Kroos took a corner short to Dani Ceballos at the top of the area. His diagonal cross was then headed back across the face of goal by Bale before Benzema finished it off by nodding home at close range. Bale got his own name on the scoresheet not long after with a wonderful finish. Ceballos put another cross into the area from the left-hand side, which took the slightest of nicks off the head of Benzema. But the ball landed at the feet of Bale, who fired home on the angle to make it 4-0 to Real at half-time. The second half was a more even affair, but Real Madrid got their fifth in the 67th minute. It was a superb run from 18-year-old Vinicius Junior, who glided into the Plzen area before laying the ball off to Kroos on the right. The German then beautifully curled home into the top far corner to add to his two assists for the evening. Real Madrid had two further chances in added time to add a sixth, but Lucas Vazquez's goal was ruled out for offside - incorrectly - before Bale's superb curling effort from the top of the area pinged off the crossbar. Real Madrid have won by a 5+ goal margin away from home in the Champions League for the fourth occasion - also doing so versus Galatasaray (6-1) in September 2013, versus FC Schalke (6-1) 04 in February 2014 and against APOEL Nicosia (6-0) in November 2017. With his first goal, Karim Benezma became the 7th different player to score 200 goals in all competitions for Real Madrid - doing so in 429 appearances. The German playmaker was superb at the Doosan Arena. He set up the opening two goals with some wonderful deliveries, before scoring the goal of the evening in the second half with a delightful curling finish. It was not just his goal contributions that were important though. He dominated the midfield, pulling the strings and keeping Viktoria Plzen at bay - although this was not the most difficult task. Kroos may sometimes get overshadowed by Luka Modric, but he shone brightly on Wednesday. Real Madrid are on the road again in La Liga this weekend, travelling to Celta Vigo on Sunday, with their next Champions League fixture away to Roma on November 27. Plzen will also play on Sunday when they host FK Pribram in the Czech First League and will also travel to CSKA Moscow in their next European fixture on November 27.